January 15th, 2009 Christar’s Net, Inc., of Long Beach, California, announces the product launch of the Christars Net™, a new patent-pending nylon-mesh net designed to hold items in place in refrigerators and stop spills in RVs and yachts, at the 26th Annual Quartzsite Sports, Vacation and RV Show January 17th-25th, 2009 in Quartzsite, Arizona. The net is portable and easy to install in less than a minute, secured by plastic suction cups which hold it firmly in place on the inside walls of these refrigerators. 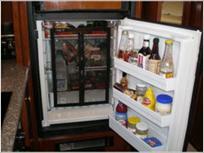 The net is 27” long by 16” wide and primarily designed to fit refrigerators in mid-to-large size RV’s. The company is entering a market it considers to be recession-proof: the recreational traveler who spends quite a bit of time in the RV and wants practical solutions to everyday life situations on vacations. The company’s motto is “No more spills, no more messes”. Christar’s Net plans to aggressively market its product through its website and at RV and boating trade shows throughout the U.S and Canada, beginning with this year’s San Diego Boat Show January 8th-11th. The company has a few novel ideas on how to gain its acceptance in the marketplace. 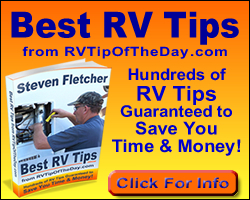 It has launched a campaign to work with RV clubs and organizations to help promote its product to their members, and in return the company will donate $5.00 from the sale of each Christars Net back to their club. In addition, five percent of the profits from the sale of the nets are directed to non-profit organizations dedicated to preserving outdoor recreation.